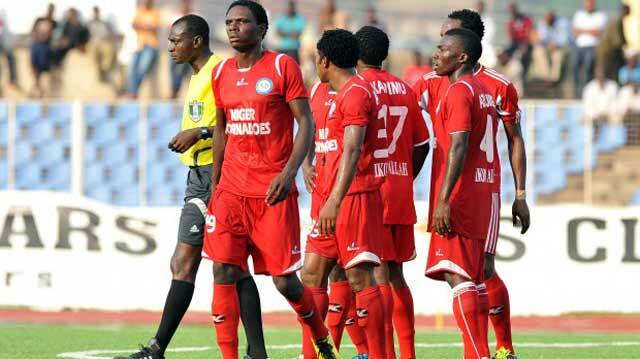 The Niger Tornadoes FC of Minna has invited two foreign players and 23 others for screening, as the team prepares for the 2016/2017 Nigeria Professional Football League (NPFL) season. Abubakar Bala, the club’s coach, made this known to sports writers on Sunday in Minna. The News Agency of Nigeria [NAN] reports that Bala guided Tornadoes out of relegation after taking over from coach Abdullahi Biffo in the second round of the 2015/2016 season. “We have invited two foreign players and 23 others to join the 17 players we retained. “We have adequate arrangement to receive the invited players in Minna today Sunday because the trial and screening exercise will commence on Monday,’’ he said. The coach said that the screening would afford the technical crew the opportunity to appraise the players and end select those who distinguished themselves. He said that there was no automatic shirt for the old and invited players, urging them to give good account of themselves. Bala also advised the players to be disciplined, saying that measures have been put in place to select the best among them. He warned that the club would not accept players who arrived late for the screening. “We want to avoid the mistakes of last season, that is why we will not throw the screening open. “What we are doing now is filling up the areas where we have deficiency. “All we want now is to assemble the best players that will be able to compete with other top clubs in the league,’’ he said.